Here is a simple and good way to clean a laptop keyboard. Dust and hairs can fall between and under the keys and cause them to fail. Usually they will not fail completely but just require a bit more force. This can be annoying especially if you type very fast. To vacuum the keyboard is the obvious solution but a standard household vacuum cleaner will actually rip out the keys and damage the keyboard. The solution: Put a funnel in-front of the vacuum cleaner. The funnel will "stick" to the vacuum cleaner. 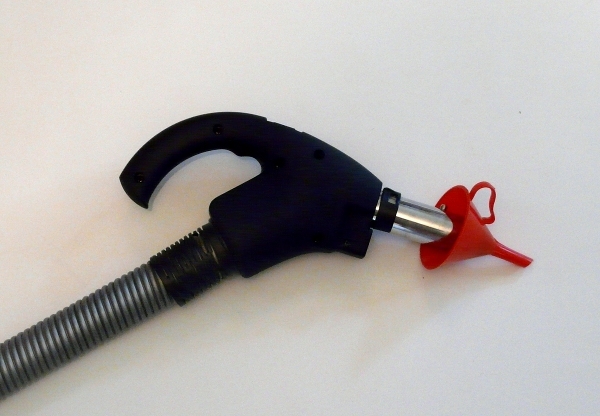 While sucking air in through the funnel the vacuum will as well hold the funnel. 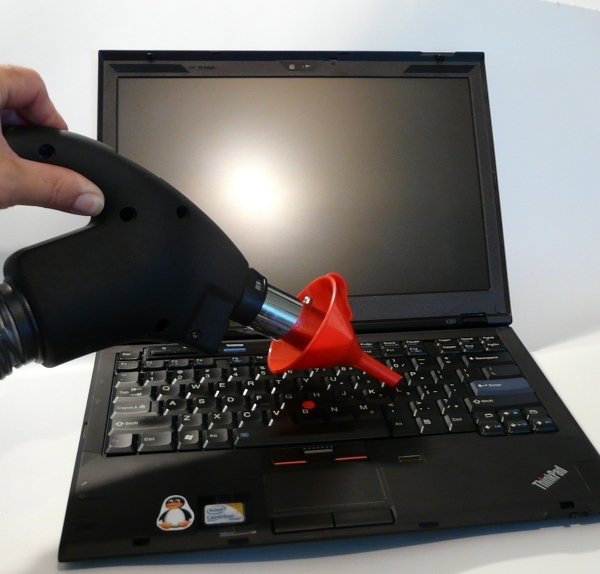 Now you can convenienty vacuum your laptop keyboard and other parts such as air intakes for the fan or the various ports. It is enough to hold the vacuum head with the funnel in one hand and you can e.g take a soft paint brush into the other hand and brush the laptop while vacuuming it. This is really an easy and good way to clean a laptop keyboard or the laptop case from outside. The best time to do this is in summer when the air is humid. In winter the air is more dry and the vacuuming might lead to build-up of static electricity. The cleaning of a laptop from inside is best done with a soft brush and by blowing air gently onto the area where you want to clean (e.g fan or motherboard). There are very small parts inside the laptop and you might knock them off when going over them with the funnel and the vacuum cleaner head.